No matter how long you’ve been behind the wheel, there are a few holes in all of our knowledge that we can be a little bashful to admit. As automotive technology has continued to advance, a slew of new dashboard warning lights have arrived on the dashes of modern vehicles. It’s time to put any embarrassment to one side and finally get to grips with what each of the flashing lights on your dashboard actually mean. When a driving aid activates or something goes wrong with your car, your electrical system triggers a dashboard warning light. 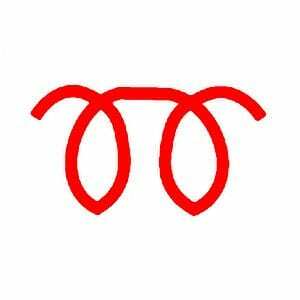 Nothing can cause panic quite like an incomprehensible symbol blinking in the centre of your dashboard. Fret no more! The Autoglass blog is here to unpack just what each of these dash symbols mean and what you have to do when you encounter one. Let’s get the easy ones out of the way first, shall we? 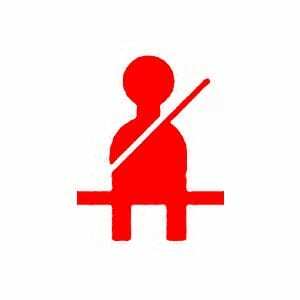 Nowadays, nearly every car on the market comes with some sort of system to alert you to passengers who haven’t got their seatbelts fastened. There’ll usually be a light and an accompanying (suitably irritating) noise. Cars traditionally use pressure sensors in the seats and sensors in the seatbelts – so if there’s a certain amount of weight on a seat and the seatbelt isn’t fastened, the light may ignite in error. 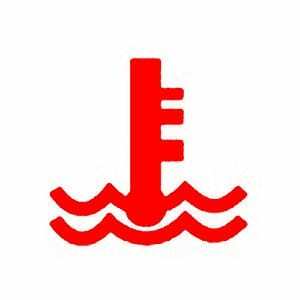 A somewhat self explanatory dashboard symbol, your Door/Boot/Bonnet light triggers when one of your car’s openings is not firmly closed. Do a quick scan to ensure the Door, Boot or Bonnet is firmly closed. If the light is still illuminated, it is more than likely faulty. 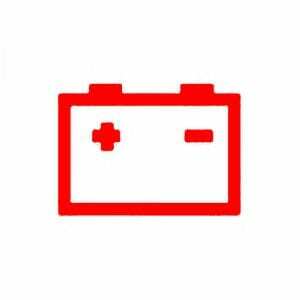 Another one of the more readily comprehensible of the standard dashboard warning lights, The Battery Warning Light is designed to alert you to issues relating to your battery’s charge. Traditionally, the issue in question is usually related to an alternator failure, a slack battery or starter terminal or – in the worst case – a loose alternator drive belt. 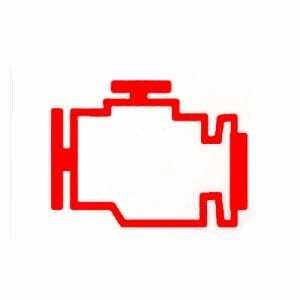 One of the more immediately alarming dashboard symbols, an Engine Warning Light can signal a number of different things. If your Engine Warning Light begins blinking, lower your speed until the light stops flashing. If you have lowered your speed and the light is still blinking, pull over to a safe place and turn off your engine. If you restart the engine and the light is still on, your car needs the attention of a professional. Even with the light flashing, your car should still be safe to drive in the short term, provided there are no other underlying issues. Be sure to get the car checked at a garage as soon as possible, in order to avoid any damage to your catalytic converter. If, when you release your handbrake, a Brake System Warning Light appears; you are most likely encountering an issue with you brake fluid levels. Your best course of action is to pull over to the side of the road, consult your driver’s manual to confirm your vehicles optimum level of brake fluid, and top up your brake fluid accordingly. If the dashboard warning light is still on, there may be an issue with the sensor itself and you should have your engine checked by a trusted professional. Even if the warning light is not illuminated, it’s wise to check your brake fluid levels every few weeks to ensure there are no leaks. The Anti-Lock Braking System is designed to prevent your wheels from locking when the brake is applied. A fully functioning Anti-Lock Braking System should stop your car from skidding in the event of sudden braking. 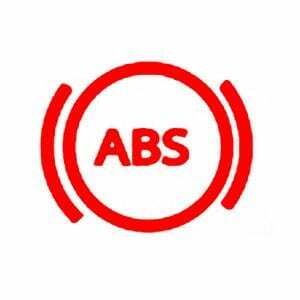 If your ABS warning light comes on, you should consult with your mechanic as soon as you can. Most vehicles can still be driven safely, even without the assistance of ABS. But this isn’t true of every car on the market, so it’s always sensible to pull over and consult your handbook just to be safe. 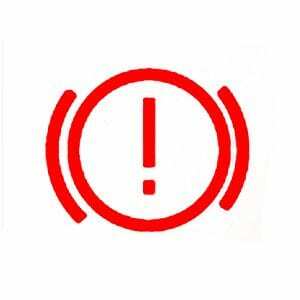 If both your Brake warning light and ABS dashboard symbol come on at the same time, use your brakes very carefully and avoid jamming on. Reduce your speed gradually and come to a complete stop as soon as it is safe to do so. This warning light illuminates when your car’s internal computer detects that your wheels are losing grip, usually in poor weather conditions. If the light is blinking, your car is on the cusp of losing grip entirely and you should drive carefully and avoid hammering on the breaks. If the light is on constantly, it most likely means the system has turned off entirely. If you can’t manually restart the system, take your car for a check up from a trusted professional. Without the aid of any coolant, your car’s engine would reach such temperatures that it would cease to function. This dashboard warning light indicates that your car’s internal temperature increased beyond normal levels. 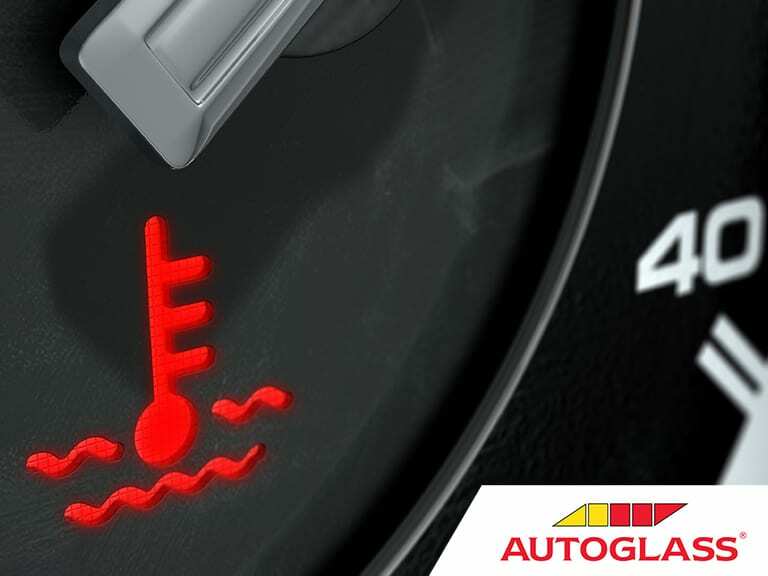 You should check your coolant levels, the functionality of your fan and scan for any obvious coolant leaks. 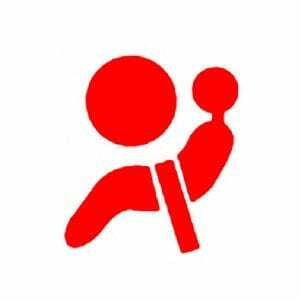 If the issue persists, schedule a check in your local garage. 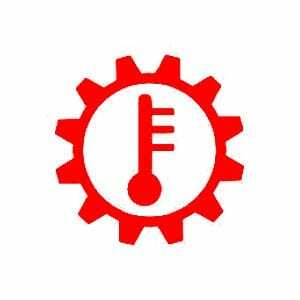 Another warning symbol related to the internal operating temperature of your car. This light indicates that your transmission has exceeded its peak operating temperature. 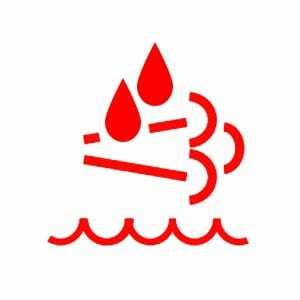 Check your transmission fluid and engine coolant levels to ensure they are as detailed in your owner’s handbook. 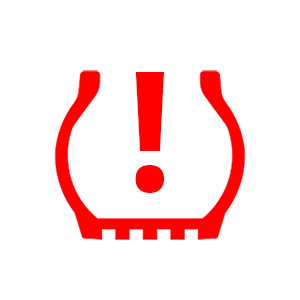 Your Tyre Pressure Monitoring System (TPMS) light comes on when your TPMS has detected a tyre with low air pressure. Pull over at the next garage or rest stop and check the pressure of each of your tyres. Be aware, some cars will allow for the manual reset of your TPMS but not all. Take a look at your owner’s handbook to make sure. If this dashboard warning light illuminates after you start your car, it indicates that your vehicle’s on-board computer has detected an issue with your airbags. Airbags are an extremely sensitive component of your car and prompt attention from a trained mechanic is strongly recommended. Your Diesel Particulate Filter (DPF) essentially acts as a filter for your exhaust. Due to the nature of their job, your DTF needs regular emptying. This usually happens automatically during long journeys when your exhaust gets particularly hot from use. 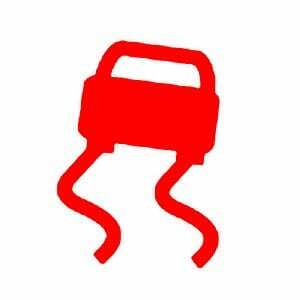 If this fails to happen, usually due to a prolonged period of stopping and starting, the warning light will come on. 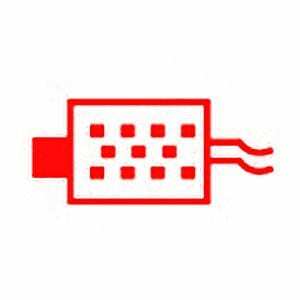 If your DPF dashboard symbol comes on, you can usually remedy the problem yourself. Driving at about 60km/h for 10 minutes or so should clear the blockage. If the light still doesn’t go off, consult with your mechanic. Another dashboard light that relates exclusively to diesel vehicles, your Diesel Exhaust Fluid (DEF) Light ignites when your exhaust fluid reservoir is almost empty. Most service stations should have DEF on sale for you to replenish your supply. A Glowplug is the heating device used to aid in the starting of diesel engines. In cold weather, some diesel engines can struggle to start because the mass of the cylinder block and cylinder head absorb the heat of compression, preventing ignition. This light indicates that your Glowplug is still warming up. 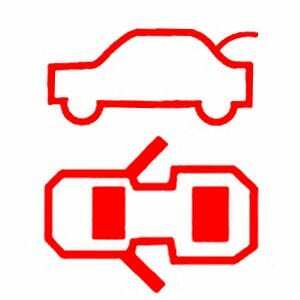 You shouldn’t start your engine until your Glowplug dashboard symbol turns off. Now you’re up to speed with some of the most common dashboard lights! As ever, we hope you found this guide helpful and be sure to check back soon for more motoring tips from the Autoglass Blog.